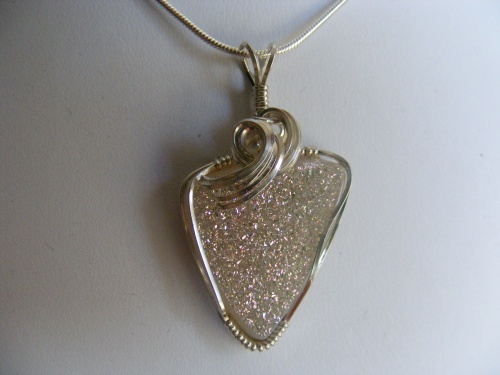 This pale champagne color titanium druzy gemstone is by far the most striking stone youll see. The colors spakle and shine so brightly on it that it can be seen across a room. Piece is scutpted in sterling silver swirls and curls and measures 1 1/2" long by 3/4" wide and comes with a sterling silver snake chain.